If mixed martial arts were any other professional sport, UFC president Dana White would likely be charged with tampering. 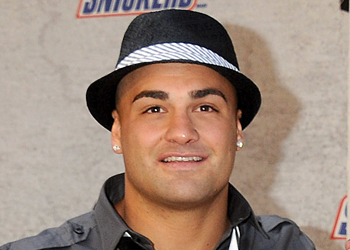 For the second time in as many UFC events, White expressed his interest in signing current Bellator lightweight Eddie Alvarez (Pictured). However, instead of just thinking out loud like he did in Atlanta, MMA’s head honcho took it one step further this weekend at “UFC on FOX 3” by ensuring Alvarez was seated within earshot so he could court the talented 155-pounder. White also made it a point to mention their seating arrangement during the post-fight press conference. Last Thursday at the event’s pre-fight presser, White reiterated his appreciation for Alvarez’s game and his intent to bring “The Silent Assassin” on board once his Bellator contract expires following his next bout. White isn’t alone in his pursuit of Alvarez. UFC co-owner Lorenzo Fertitta joined in on the action last month by tweeting, “@edalvarezfight hey been meaning to introduce myself,” immediately after Alvarez’s destruction of Shinya Aoki. This isn’t the first time White has been enamored with an athlete who was signed to a competitor. In June of 2009, White said he wanted to bring Vitor Belfort back to the UFC when his deal with Affliction was still in effect. Both fighters ultimately inked contracts to join the planet’s premier MMA promotion. Speaking of signing with the UFC, White recently plucked now-former Bellator middleweight champion Hector Lombard from the free agent market.